Logging into Google Analytics can be a daunting experience – and while many are competent when it comes to finding the numbers, finding the right numbers and knowing what they mean in the real world is another story altogether. In this article, we’re bringing you four expert tips from the online marketing pros, so that you can find the data you need quickly – and more importantly, understand it and react appropriately. From learning about lesser known important metrics to creating custom dashboards, today you’ll walk away one step closer to mastering Google Analytics. Bounce rate is given as a percentage in Google Analytics and indicates the relative number of ‘single-page sessions’ – AKA people landing on your site then navigating away without visiting another page. How do I find out my bounce rate? To find the overall bounce rate for your site, simply log into Google Analytics and the ‘Audience Overview’ will give you the average bounce rate. To find the bounce rate for a specific page, simply navigate to the ‘All Pages’ section underneath ‘Site Content’ in the ‘Behaviour’ drop-down. From here, you can use the search bar to find the page you’re looking for by typing in part of its URL. You can also order your pages from highest to lowest bounce rate, allowing you to tackle the most problematic pages first. Don’t forget you’ll be looking at data for ‘All Users’ as standard. To view organic or paid traffic only, use the ‘Add Segment’ tool at the top and select organic traffic to drill down to the traffic you’re interested in. What are the implications of a high bounce rate? If your bounce rate is high, it means one of two things. Either your site or page is attracting the wrong people, or your site isn’t giving users the incentive to stay put. Try Googling each of the keywords you’re targeting on your page in an incognito window – allowing you to perform a ‘clean search’ without your history affecting the results. Your search results should be showing a healthy mix of competitors and relevant pages. If your keywords are bringing back largely irrelevant results, it’s quite likely that you’re targeting the wrong terms. While you may refer to your products or services with specific terminology, it doesn’t mean that Joe Public uses the same terms when seeking out suppliers. However, if you’re confident you’re attracting the right people but they’re still not sticking around, it’s time to cast a critical eye across your site. Poor UX (user experience), content quality or appearance are all potential culprits when it comes to your high bounce rates. Tip: Don’t be too hard on yourself when it comes to bounce rate. Depending on the page and goal in question, it may be that the user has gathered everything they need from a single page – without the need to navigate deeper into your site. High time on page and high bounce rate are often seen in these scenarios. What can I do to reduce it? Fear not – this can be remedied with some simple actions. If your bounce rate woes are a result of targeting the wrong keywords, a bit of keyword research and a rewrite is simple enough to carry out. However, if it’s down to poor UX, quality or appearance, you may need to make some onsite tweaks to get people delving deeper into your sales funnel. Well designed sites often convert very well, providing consistent conversion rates from varying traffic levels. Make sure your site has the right balance of style and substance, and that your menus and navigation options are clearly labelled with the user in mind – improving their experience on the site and making it more of an intuitive experience. Tip: Make sure your meta title and meta description accurately reflect the contents of your page. If your meta data misleads the user in search results, they’re only going to be disappointed when they arrive at the page – increasing the likelihood of them bouncing. Click rates are only impressive if people stay on your site when they get there! ‘Ghost referral traffic’ or spam traffic is a more recent phenomenon in Analytics – and it can wreak havoc when it comes to reporting. These fake ‘visits’ aren’t actually visits at all – with the referrer never actually visiting your site, and instead sending data directly to Google’s servers (which tricks Analytics into registering a hit). The problem is that these fake hits can seriously can skew your traffic numbers and send bounce rates through the roof. If you’ve already had a play about in Google Analytics, you’ve probably seen referral ‘visits’ coming from spam sites like best-seo.com, simple-share-buttons.com or even explicit adult sites! You won’t be surprised to know that this is yet another spam marketing technique – designed to get inexperienced webmasters visiting those sites. How do I find out if my site is affected? To see if your figures have been affected by ghost referral traffic, clear any filters and navigate to the ‘Acquisition’ and then ‘Referrals’ section on the left menu. Here, you’ll be presented with a list of sources referring users to your site. Tip: Spam traffic can also come in the form of crawlers – which do actually visit your site, but can damage your reporting efforts nonetheless. While these are a little harder to spot, as they appear to be genuine visitors, this can be rectified in one sweeping motion – by adding a little bit of code to your .htaccess file. This is best left to the professionals, as any errors can take down your site. However, if you’re keen to banish the spammers, a reputable web developer should be able to make the required tweak. Fake or spam traffic is going to give you a false picture of your website’s performance and growth. Ghost referral traffic can often come in waves, too – leading you to believe you’ve had a particularly successful few days. Because this traffic simply registers a visit but exhibits no discernible behaviour – such as spending time on the page or navigating to other pages of the site – it can lead you to believe your site isn’t converting as well as it actually is, sending your bounce rates soaring. Luckily, you can take a few simple steps to filter out those pesky fake referrals – the simplest of which is applying a filter, so you can accurately measure your organic traffic. This will suffice if it’s only organic visitors you’re interested in – but if referral traffic coming from other sites is an important channel for your business, there are more permanent solutions. While it’s possible to create custom filters to block out each of the referring spam sites, this can be time-consuming and requires regular maintenance as new spammers pop up. The best solution is to create one filter to rule them all! The vast majority of ghost traffic works by registering a hit on your Google Analytics tracking ID, and uses a fake hostname (or may be missing one altogether). Knowing this, you can create a filter which only displays visits coming from sources with real hostnames. This can be tricky – but if you follow this step-by-step guide from Moz.com, you can build a bulletproof filter. A goal in Google Analytics is essentially a completed activity or conversion tied to the success of your business. It’s important to have a solid definition of what counts as a goal for your businesses. While there are many options which can be set as goals in Google Analytics, ‘destination’ goals are the most common – whereby the goal is achieved through the user reaching a specific page on your site – such as ‘thank you for signing up’ or ‘your order’s in the bag’. Whether you’re an agency determined to see the impact of your work for your clients, or an online retailer wanting to tie your orders to your visitors, setting up goals in Analytics is essential to measuring and building upon your successes. Firstly, it allows you to quickly measure how many sales or conversions you’re generating through your website. Secondly, and perhaps more importantly, it allows you to follow the path of the user – so you can work out what brought them to the site in the first place. Identifying the types of content, page and traffic channels bringing high converting traffic to your website is an incredibly valuable practice. To set up a destination goal, start by finding the pages which count as a purchase or an enquiry – whatever it is that you consider a ‘conversion’. This could be a form submission page, your contact page or a ‘thanks for placing your order’ page. It’s possible to set multiple goals in Analytics, making it easy to track your user’s journey through the site. To create your goal, click the ‘Admin’ tab on the top level menu in Analytics. In the ‘View’ column, ensure your site is selected in the drop down menu – then click on ‘Goals’. From here, you can create a ‘New Goal’ or edit existing goals. Google provides a variety of templates for common goals – but if it’s a simple destination goal, selecting ‘Custom’ is the easiest option. This way, you can name your goal, e.g. ‘Contact page visits’ and select ‘Destination’ – entering the tail end of your URL e.g. /contact-us. Check out Google’s step-by-step guidance for setting up and editing goals in Analytics. Tip: The ‘Funnel’ option also allows you to specify another step in the user’s journey. For example, if you’re running an ecommerce site, you may only want to count people who’ve been to your ‘enter payment details’ and then your ‘thank you for placing an order’ page – filtering out those who have stumbled there by accident, or selectively measuring goals achieved through a specific path. Once your goals are set up correctly, measuring them couldn’t be easier. To see an overview of your goal completions, simply navigate to ‘Conversions’ and then the ‘Goals’ overview report on the left menu. If you prefer to see your goals listed by source, head to ‘Acquisition’ > ‘All Traffic’ > ‘Channels’ on the left menu. Here, you’ll see a list of your traffic sources, grouped by type (such as Organic Search, Direct etc.). Simply select the goal you want to report on from the conversions drop-down menu on the right to attribute conversions to specific types of traffic. A Google Analytics dashboard is essentially a collection of widgets which pull together all of the data you care about the most into one easy-to-read report. Every Google Analytics account comes with a default template dashboard. However, this only provides basic information and isn’t tailored to your business’s specific reporting needs. Once you add more sales channels to your website and begin to track more specific user behaviour and goals, reporting can get a little tricky. That’s where a custom dashboard comes in, showing you the data you want at a few clicks of a mouse – without the need to delve into the depths of Analytics data. How do I create a custom dashboard? To set up a customised dashboard, select ‘Dashboards’ from the menu on the left and click ‘New Dashboard’. From here, you can either select ‘Blank Canvas’ if you want to build yours from scratch, or ‘Starter Dashboard’ to include the default metrics. Once you’ve named your dashboard, you can go about adding and customising widgets to show you the data you want – with the option of choosing from a variety of formats (such as pie and bar charts). From here, you just need to select the metrics you want to measure – for example, you could create a pie chart that displays the number of goal completions by country – showing you where the majority of your business is coming from, geographically speaking. The options are virtually limitless, so it’s worth narrowing down exactly what you want to measure before you begin creating widgets. How do I report from a dashboard? Once your dashboard is up and running, reporting is the easy part. Simply navigate to your custom dashboard and your numbers will be ready and waiting. While Google Analytics dashboards are helpful when it comes to measuring web traffic behaviour and demographics, in order to get the full picture of your business’s online presence, you’ll need to gather and collate data from numerous sources into one place. Whether it’s from your company’s social media channels, YouTube page or email campaign software, wouldn’t it be great if you could access all of those statistics in one easy to digest place? Good news! 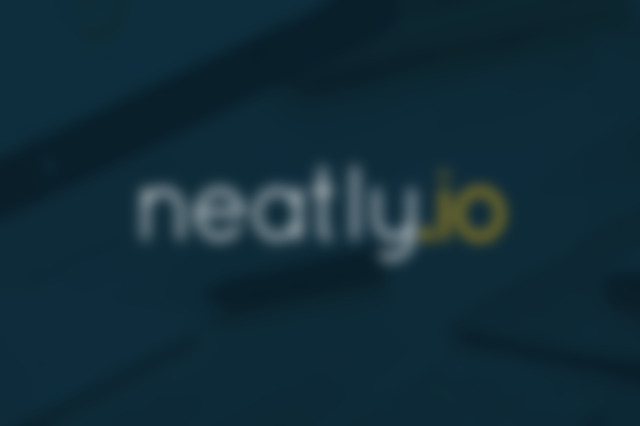 Compatible with over 45 different tools, Neatly is the ultimate reporting tool, allowing you to collate data from multiple sources – including Google Analytics – on one custom dashboard. From generating attractive and easy-to-read reports to keeping track of your data on the move, its intuitive, user-friendly reporting features make moving to Neatly a no-brainer.